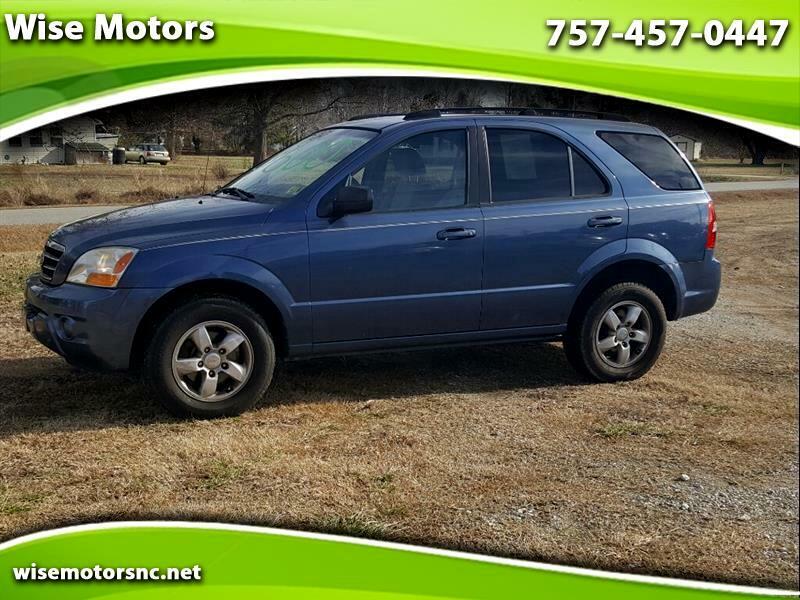 Automatic, Runs and Drives Great, Clean Vehicle History, Nie Vehicle!! Visit Wise Motors online at wisemotorsnc.net to see more pictures of this vehicle or call us at 757-457-0447 today to schedule your test drive. Prices do not include tax, title, tags or $100 processing fee. We are NC Dealer #72838. Please understand that we do not offer in house financing or payments at this time. At times there may be an option listed that the vehicle does not have. This is not done purposely, no fraud or intention misdirection is meant. When the computer decodes the VIN sometimes it puts an incorrect option. Please excuse any errors that you find. We encourage potential purchasers to come look at the vehicle to ensure that it has the options that are desired. Message: Thought you might be interested in this 2008 Kia Sorento. The prices stated do not include tax, title, tags, any other related dmv fees or the $100 dealer administrative fee. At times there may be an option listed that the vehicle does not have. This is not done purposely, no fraud or intention misdirection is meant. When the computer decodes the VIN sometimes it puts an incorrect option. Please excuse any errors that you find. We encourage potential purchasers to come look at the vehicle to ensure that it has the options that are desired.